A few of our smaller succulents put out to catch the rain! Nice little collection there. 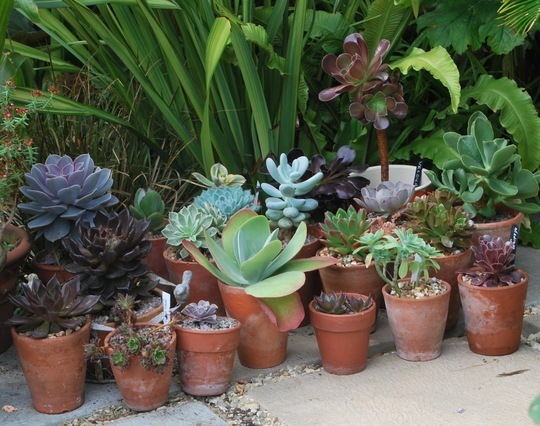 Haven't all the succulents had a great year? I'm loving mine too. They are Hywel.....just bought them in before the torrential rain!! I hope they enjoyed the rain. I only have a few Aeoniums outside. We have drizzle today. Same here, more storms expected tomorrow! !